I love ordering burrito bowls at Chipotle, but it does get a little pricy to eat out all the time. 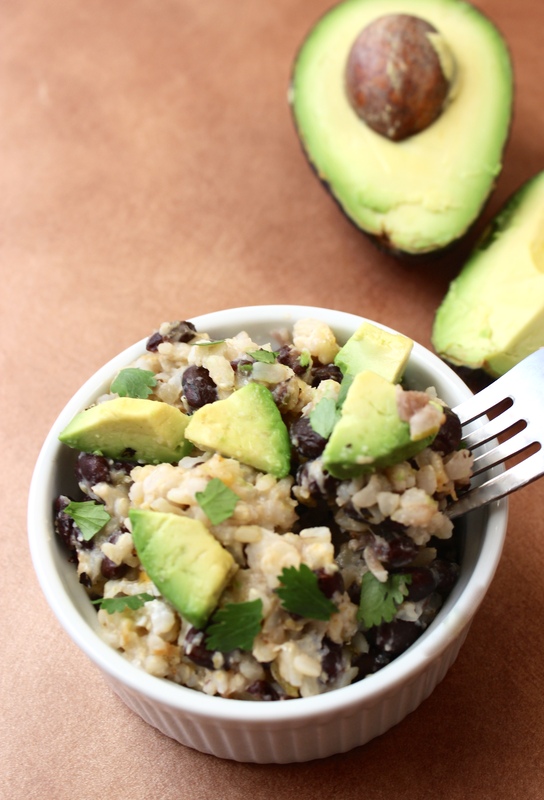 The great thing about a burrito bowl (and especially a vegetarian burrito bowl!) is that it’s an easy meal to make at home, which I would totally do, except for one problem: I don’t have a kitchen. Technically, there is a kitchen in my dorm building…on a different floor…and the stove kind of works…if you have 20 minutes to wait for a pot of water to boil. So while I absolutely love cooking when at home, I avoid the dorm kitchen whenever possible. Sometimes, I make the journey downstairs to roast a big tray of veggies that’ll last for a week, but that’s about the extent of my kitchen usage. 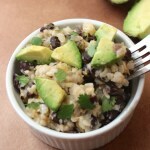 So, when I came up with an easy way to make a vegetarian burrito bowl without doing any actual cooking, I thought I’d share in case there are others of you out there who don’t like to make complicated meals or who are cooking for one, too. To make my vegetarian burrito bowl, I used this timesaver: pre-cooked frozen brown rice! Sure, if I was at home with a fully-stocked kitchen I’d probably make my own rice, but this little shortcut saves time AND keeps me from having to wash an extra pot. You could also make extra brown rice for another meal and then use the leftovers for this simple recipe. There are lots of possible variations, but here’s what I do for my single-serving bowl: I prepare the brown rice in a microwave-safe bowl and then mix in black beans, a spoonful of salsa, a sprinkle of shredded cheese, and the secret ingredient: plain Greek yogurt. It adds so much creaminess. Then, I microwave the bowl for about a minute, stir the mixture up, top it with some avocado slices, and voila! My 5-minute vegetarian burrito bowl is ready. I kept my toppings and mix-ins pretty simple since my refrigerator is the size of a shoebox, but there are lots of possible variations. 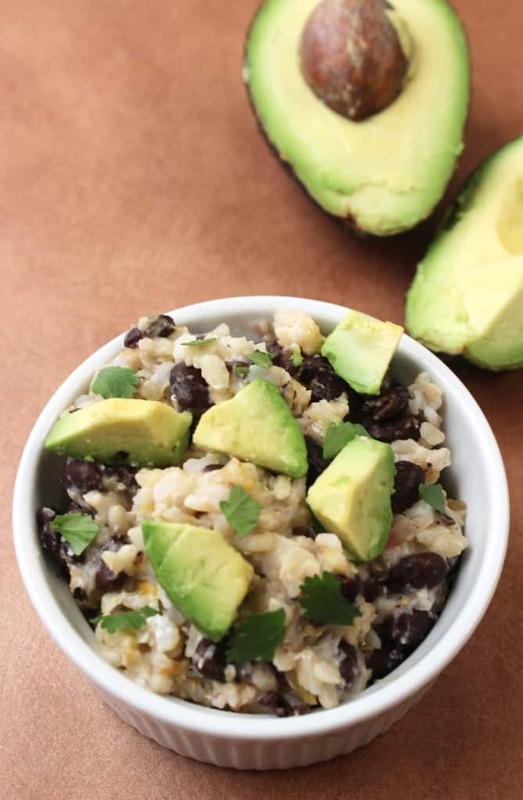 You could also add sautéd veggies, shredded chicken, tofu, corn, or pico de gallo, or drizzle your bowl with salsa verde or enchilada sauce, or top your burrito bowl with guacamole instead of sliced avocado. 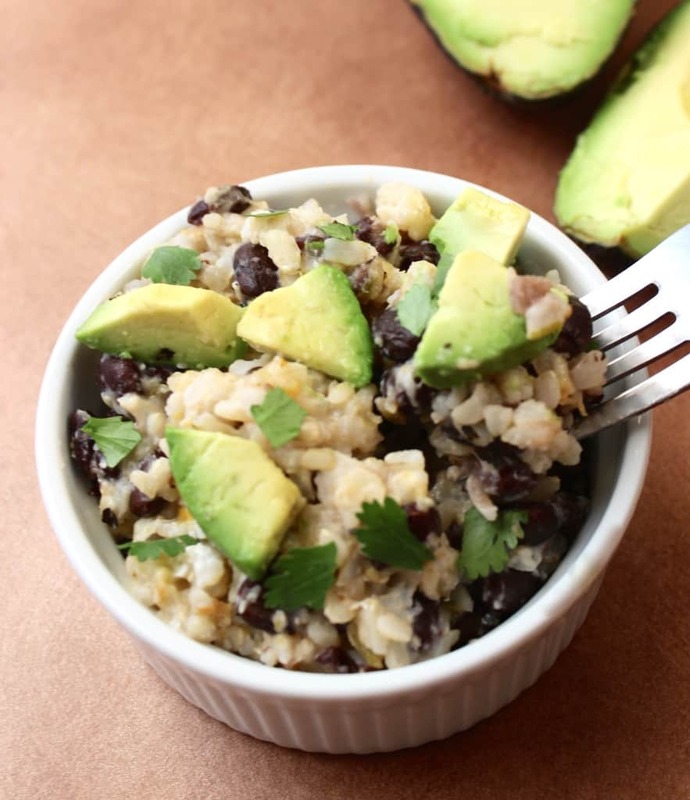 Instead of black beans, you could even use pinto or refried beans, which are a great source of folate. You could add sautéd veggies, shredded chicken, tofu, corn, or pico de gallo, or drizzle your bowl with salsa verde or enchilada sauce, or use pinto or refried beans instead of black beans, or top your bowl with with guacamole instead of sliced avocado...so many possibilities! Diced avocado, diced tomato, guacamole, pico de gallo, etc. In a microwave-safe bowl, combine rice, black beans, salsa, plain Greek yogurt, and shredded cheese. Microwave on high for 30-60 seconds, or until heated through. Top with diced avocado, diced tomato, guacamole, pico de gallo, or other desired toppings. I almost named it Lazy Girl Burrito Bowl haha! Yummm this looks amazing! I usually go to Chipotle or get nachos from this place called Freebirds up here in SB. If you ever are in the area, I MUST bring you there ;). Anywho, it does get expensive so I LOVE the idea of being able to make delicious and healthy burrito bowls a home! And girl. I use that exact same brown rice practically almost every day. Such a huge time saver for me! I would LOVE to visit Santa Barbra and get nachos at Freebirds! (Oh, and see you too. 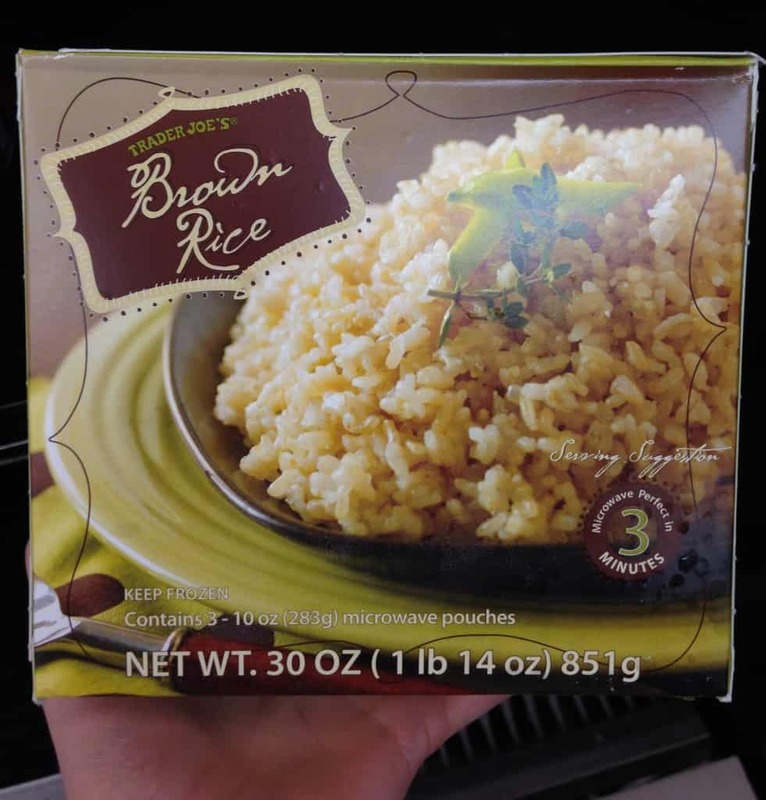 😉 ) I love that Trader Joe’s sells recipe shortcuts like this brown rice! Yum! I adore Chipotle and I’m all for easy dorm options. I’m in the same boat; technically I have access to a kitchen in my dorm… but it’s not really all that functional. And it’s usually not the cleanest. This looks like the perfect solution! Oh girl, our dorm kitchen is grody. I’ve seen raw chicken being cut up straight on the counter, eeek! I LOVE how easy this recipe is! You are a genius! Do you feel like as a student any extra time HAS to be spent studying? That is one of the biggest challenges for me as a student- there is always more study I could potentially be doing! 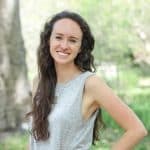 It’s so hard “cooking” in a college dorm and I’m so impressed with how you create all these recipes even with those obstacles! This looks amazing, especially knowing your kitchen limitations 🙂 I totally wish I had done the same in college! Glad you enjoyed it, Miki! Sharing with my college daughters! 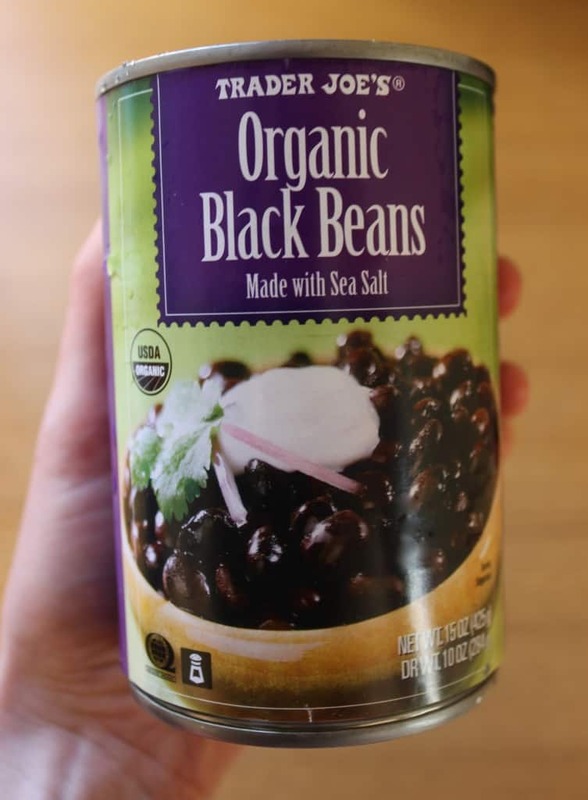 Tip: try the “Cuban style” canned black beans from Trader Joe’s – it will be even yummier! Those sound delicious! Thanks for the tip! Thanks this was great. Made it today for lunch and added some sauteed peppers and onion. So glad to hear you enjoyed it! Your additions sound delicious! This sounds delicious, but I have one question. Can you taste the greek yogurt? Hi Olivia! Great name 🙂 If you’re not a fan of the Greek yogurt, you can sub sour cream or just leave it out! I am a vegetarian and love to eat this dish!